enough uniform press, so it is suitable for different thickness of film (PVC or paper) and panel. 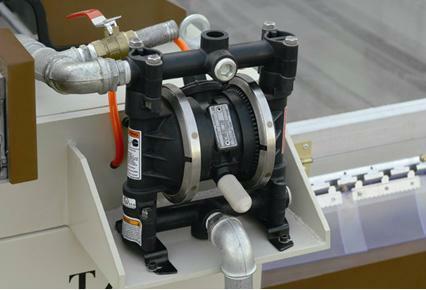 is membrane pump which use compressed air as driving force, so it is very environment-friendly. improve the working efficiency and quality of products. working efficiency and quality of products. It is convenient, quick, economic and labor-saving to use the electric hoist to lift the film roll group. Advanced digital full-automatic technology and easy to operate.